… with enough money … I’ll tell you what I would do. In the first place, I would change the general appearance of the site and make seven wide columns where we now have nine narrow ones. Then I would have the font spaced more, and these two changes would give the site a much cleaner appearance. Secondly, it would be well to make the site as far as possible original, to clip only some leading sites … [we] must also increase our number of advertisements [even] if we have to lower rates to do it … images are a detail, though a very important one … images attract the eye and stimulate the imagination … all these changes [should] be made not by degrees but at once so that the improvement will be very marked and noticeable and attract universal attention and comment. Perhaps the antiquated language at the end gave it away. This is not an email from an online publisher to her investors in 2005. I just replaced paper with site, type with font, and illustration with image in an excerpt of a letter William Randolph Hearst wrote to his father in 1885, listing changes he would make to the San Francisco Examiner if his father would just let him run that paper. Hearst did take over the paper and, after making a number of changes like these, made the Examiner the most popular paper on the west coast. Source: The Uncrowned King: The Sensational Rise of William Randolph Hearst by Kenneth Whyte (a great read). Found a copy at O’Reilly’s offices in Sebastopol. I should have it in a few days for you. Wow. You just don’t get that kind of service anywhere but a local retailer. 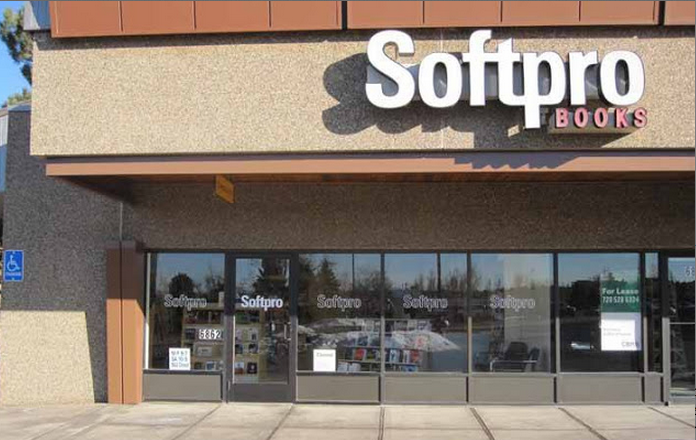 Softpro is one of the last remaining retail computer bookstores in the country, and it’s a gem. I collect books. Once I bought the entire stock of the university library’s annual used book sale, which took two trips with a pickup truck to haul away to our house. OK, that wasn’t smart because we still had three or four moves ahead of us before we settled into our present house. Now I mostly buy books from Softpro, a real, physical, local, independent computer bookstore. I still buy far too many of them, and keep having to give some away, and add new bookshelves to accommodate them all. Problem One – There are some real gems that I never see, they’re lost among the thousands of books on my shelves. I need a way to remind me to consider the gems every once in a while. Problem Two – Some books you just don’t need. Stuff like “Implementing SOA with J2EE”. Much better to use that space for an Erlang book or “Gödel, Escher, Bach”. Both of these problems could be solved with some kind of coating on the books that registered touch and, after six, twelve or eighteen months of a book not being touched again, there would appear a bright yellow, orange or red dot on the spine. The dot would be a reminder to look at the book and either recycle itdonate it to the library, or rediscover it as a gem. Of course, on a Kindle sorted by “most recent” you get the same effect, but come on, it’s just not the same as standing in front of a real live bookshelf.